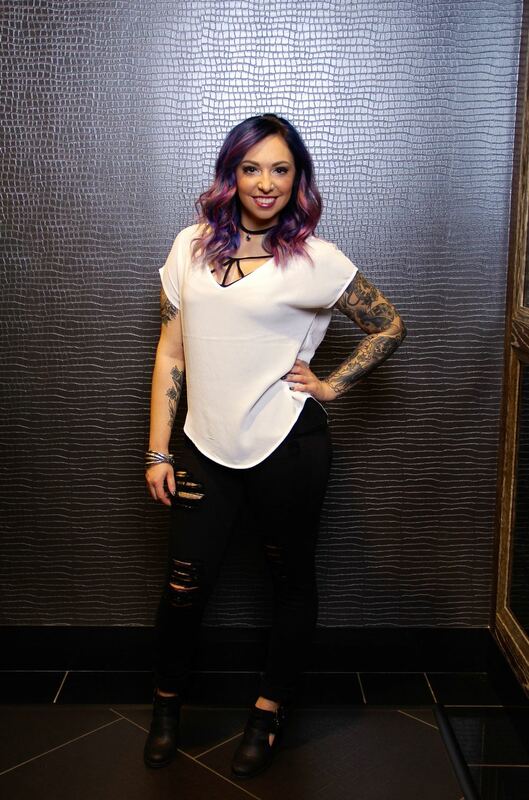 Katie is a Nashville native, she has had a passion for hair and beauty since she was a child. Katie grew up around her aunt’s salon where she developed an interest and love for the art of hair. After finishing college, Katie decided she was going back to school to pursue a career in cosmetology. While in school, Katie began her career with a wedding company, mastering her talent for not only hair styling, but also makeup. After cosmetology school Katie started teaching makeup classes part time for a private agency. While she loved teaching others to do their own makeup, and participating in wedding events, Katie wanted to bring everything together and work at a salon. When Katie is not in the salon, you can find her enjoying time with her baby boy,family, and friends, hiking, enjoying the music of our wonderful city, or on a Sephora run. She offers all hair services, makeup applications and classes, waxing, and eyelash extensions.